Sailors have for centuries sought a navigable Northwest Passage: a shorter, faster route between the Atlantic and Pacific Oceans that transits the Arctic. Historically, thick ice made the journey impossible. In the last century, specialized ice-breaking vessels made the trip plausible, but prohibitively expensive, and then only during the summer, when the ice was thinnest. 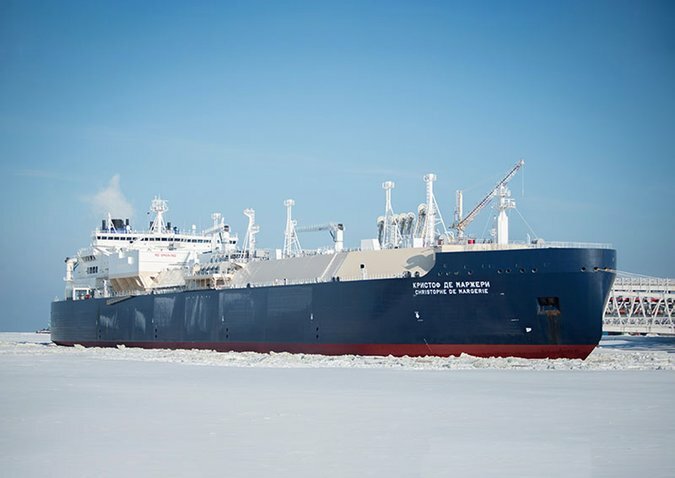 The ice-breaking liquefied natural gas carrier Christophe de Margerie. Its journey augured the future of shipping as global warming melts sea ice. The ship is named for Christophe de Margerie, the former chief executive of the French energy company Total who was killed in a plane crash in Moscow in 2014. The first of a planned fleet of 15 similar tankers, the ship has a unique reinforced steel hull that allows it to break ice up to four feet thick. Fewer than 500 ships have made the journey since the route was first completed in 1906, but Sovcomflot said it expected the journey to become routine. For now, the route still remains expensive, made costlier by high insurance rates and safety considerations. A report last year by the Copenhagen Business School concluded that trans-Arctic shipping would not become economically viable before 2040. As experts anticipate further melting across the Arctic, several countries have sought ways to exploit the thawing — laying cables and drilling for oil, natural gas and other resources. That increase in access has brought with it an increase in political tensions. Canada contends the waters of the Arctic Archipelago are its internal waters, a claim the United States and other nations contest. Greenland, an autonomous region of Denmark, maintains it has the sole rights to an immense ridge it considers part of its continental shelf that extends for hundreds of miles beneath the Arctic Ocean. In 2007, a Russian submarine planted a Russian flag on the seabed under the North Pole.